Sorry Lasha, this is off topic, but I know you won’t mind. The Jews got very angry when they read these lines and actually kicked up a fuss because Eliot had for some reason written the word “jew” with a small ‘j’. He had insulted them by denying them the honor of a capital “J”. I’m not joking. This is true. Fantastic pictures, Lasha. You really know how to choose them for their subliminal impact. Those pictures enhance the poem in a most remarkable manner. The poem has been published all over the internet, but this is the only illustrated version I have come across. Truly memorable. i use the inferior j. it is appropriate. jewry is a collective of small minds and the collective itself is a smaller mind. from the many, the lesser. the heebi jeebi j does not make me an eliot but i am still a shlomo. read my words. pretend i roar. I don’t understand very well, jessie lassie. Please forgive my curiosity. You do seem fortunate enough to perhaps milk the cows, knead dough, fetch water? There are fine young men thereabouts, I’m sure. levee-hiding-behind-henree … even among the shining exemplars of his vomitous race, a standout, no one brings it one quicker for me. there are 1 MILLION sayanim in the US (the good ol\’ jews\’ in the nehgoborhiod), out of some 5 Million jews\’? That\’s 20-25% are sleeper\’ cells, waiting for an order to execute and order. The majority of the hive are polluting the NE, and the Washington Latrine. Government/fianance/rapine jobs, naturally. And what\’s left, good\’ ones, are the silent ones who NEVER by themselves and as a group, ever revolt publicly and denounce the treacherous and criminal activities of their breed. And when they do, they sound as hypocritical as RUTH BEERSTAIN and other fakes. Zionism\’ is not a race. But Khazars and Ashkenazis are. jew\’ is just a cover to rapine Palestine. Thanks for printing this, the best effort by Eliot. 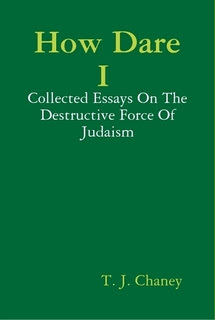 So many inspired writers like Eliot and Pound are flushed down the ‘anti-semitism’ memory hole by the JTPB. There will come a time soon when this type of genius isn’t even taught anymore. Spot on, Timster. Love your site, by the way. Am planning to read your book which I saw given a good write-up on this site a few months ago. One of my favorite poems and I love the illustrations. 30-40 years ago TS Eliot was all the rage. He was studied at school and university. He seemed to have much to say. He captured the Zeitgeist of angst following the Second World War. But now, thanks to his anti-Semitism, he has been phased out of most academic courses. Gone, too, “The Merchant of Venice” with its stereotypical predatory Jew Shylock. People have suddenly grown up. They know there is no place for anti-Semitism in today’s brave new world. The most popular book in university courses is now “The Diary of Anne Frank.” And the most popular area of historical enquiry is of course Holocaust Studies. This is as it should be. It is no longer a a shameful thing to be a Jew, as the incorrigible Eliot did his best to imply in his seedy little poems about Burbank and Grishkin and rats under the piles. It’s perhaps typical of Darkmoon that she should select this disgraceful old codger, TS Eliot, for rehabilitation on her site. If it is true that those great works are no longer part of curricli it is beacause Jews control the “education” system and, as we know, Jews are allergic to truth. No, I’m not “dislecksik”,That should, of course, be “curriculi” not “curricli”. Good try, Mary! Actually the plural of curriculum is curricula. Or sometimes “curriculums”. Thanks for the correction Sardonicus, that’s what comes of being a smart arse. I should have run with the perfectly acceptable “curriculums”. BTW, I notice that I even misspelled the everyday word “because”. Proofreading! Proofreading! Is that Burroughs sneaking out of there; guilty as charged!!? Last time I saw him he was shaking his fist at me and laughing. Yes, that is Burroughs. A very disturbing picture, I thought. It says more than a thousand words can. One either knows at a glance what it’s saying or one doesn’t. However, maybe it says different things to different people. Which in itself is a remarkable phenomenon. I think we can all agree that the highest of the arts, which brings us closest to the gods, is music. But which is the second highest art: is it Poetry or Painting? If there were a lineup of the Muses, I wonder what their order of precedence would be. All the arts have suffered tremendously under the cultural Marxists of the Frankfurt School, i.e., organized Jewry. Music is now satanic, Poetry a bad joke, and Painting an obscenity. I exaggerate, of course, but there’s no doubt that the decline in the arts has been steep. No one today comes within ten million miles of Mozart. of course you don’t exaggerate. except that for me mozart wasn’t the undisputed champ. that goes to beethoven, followed by schumman. (just listen to beet’s piano sonata 32, opus 111 (i think) performed by equally immortal claudio arau). for me nowadays, the best is silence, the highest form of art unsullied by the devil’s spawn. Your comment about silence made me think of the silence of the vast ocean. It inspired me to add a picture of a lonely albatross skimming the silent waves of the sea. your aptitude for visual form pretty well matches the poetic one. please link us to youtube of yourself singing the queen of the night aria from mozart’s die zauberflöte so we can ascertain the musical reach as well. the only one we are not interested in is the ability to maintain silence. Well, there’s always and forever; this. thanks for information, a great picture. and the dream ladder into the tree of universe, or enlightenment, or apples or whatever. I’ll have more to say about my boy Tom Eliot a little later, but for now just . . .
You’re a great photo editor, Lasha. Me too. I think the next one of these you should tackle is Yeats’s “The Second Coming”, far more relevant to our times than Prufrock. But try not to make it TOO scary. You’re in my wheelhouse now. Thing is if you saw the movie Tombstone, Doc was seen quoting Kubla Khan. I have no idea if this was true. I am going up this year to the museum. My cousin (Bill) is the proprietor of the Doc Holliday Museum in Griffin, Georgia. yeah yeah yeah. and my cousin is Annie Oakley.